Allan is a physical therapist / physiotherapist with 19 years of clinical experience. He is a graduate of Queen’s University in Kingston, Canada. In his final year at Queen’s after working with the men’s varsity basketball program, he was awarded the Hal Dunlop Shield – one of the seven highest athletic awards at Queen’s - for significant contribution to athletic therapy at Queen’s University. While still in Canada, he developed an athletic injury prevention and rehabilitation program intended for recreational and high school athletes and coaches. He has been in Austin since 1990. Allan is a specialist in sport- and fitness-related injuries and injury prevention for both the recreational and elite level athlete. He has extensive experience with athletes in track and field, cycling, duathlon and triathlon. In his 18 years of clinical and on-site experience, he has served as a physical therapist at several international sporting events including the medical team for track and field at the 1996 Summer Olympics in Atlanta, the 1996 USA Track and Field Olympic Trials, the 1995 USA Track and Field Outdoor Championships in Sacramento, and the 1988 World Junior Track and Field Championships in Sudbury, Canada. He worked with the United States National Track and Field team at the 1994 World Cup of Athletics in London, the 1997 World Cup Racewalk in Prague, and the 2001 World Half Marathon Championships in Bristol. 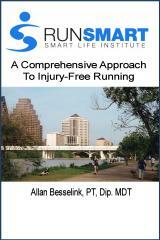 Allan has been a rehabilitation and performance consultant to a number of world-class athletes.